If you want home-style cooking, go to Helen’s. One of my favorite places to get breakfast! 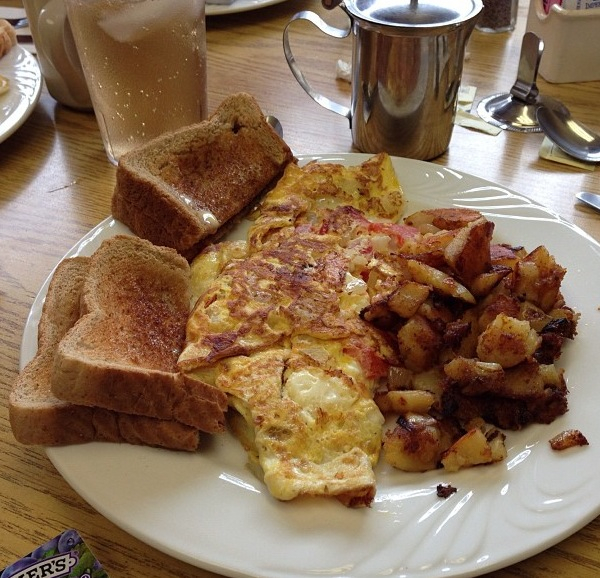 They have delicious omelettes, sandwiches, salads, and more! It’s a simple place and I appreciate that. Owners are very friendly – I wish they were still open on Sundays! I usually get an omelette with some sort of combo of cheese (usually feta), onions, spinach, & tomato. I always ask for my potatoes crispy! And of course you have to have a breakfast meat, both their bacon and sausage are amazing. Sometimes I have to get both. If I’m feeling insatiable, (which is more common than not) I share a short stack of pancakes with whoever I’m with. I’ve also tried their burgers and they’re good! But it’s homestyle cooking – so don’t expect a five guys burger! Fries and coleslaw that come with it are also enjoyable! DO get their bacon or ham egg & cheeses as well. 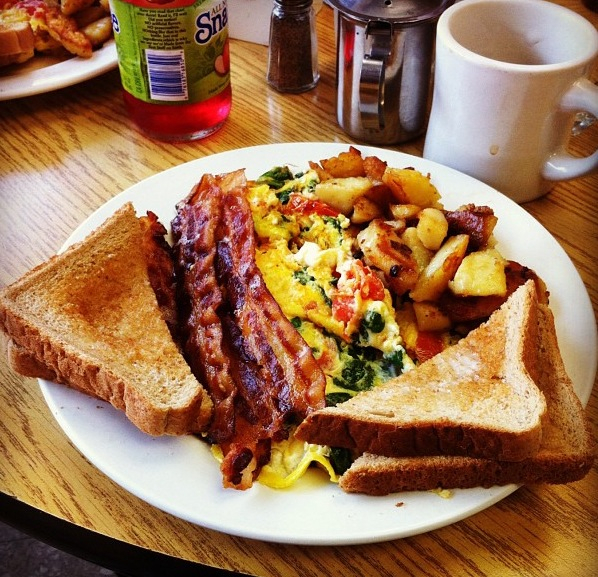 Enjoy some breakfast pictures below! 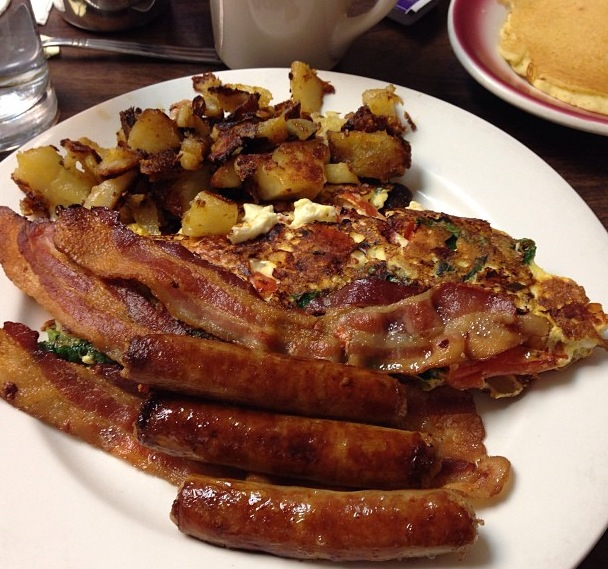 This entry was posted in Stamford and tagged Bacon, Breakfast, cheese, Cooking, feta, food, helens, helens luncheonette, home style cooking, lunch, luncheonette, Omelette, pancakes, sausage, stamford, Stamford Connecticut. Bookmark the permalink.